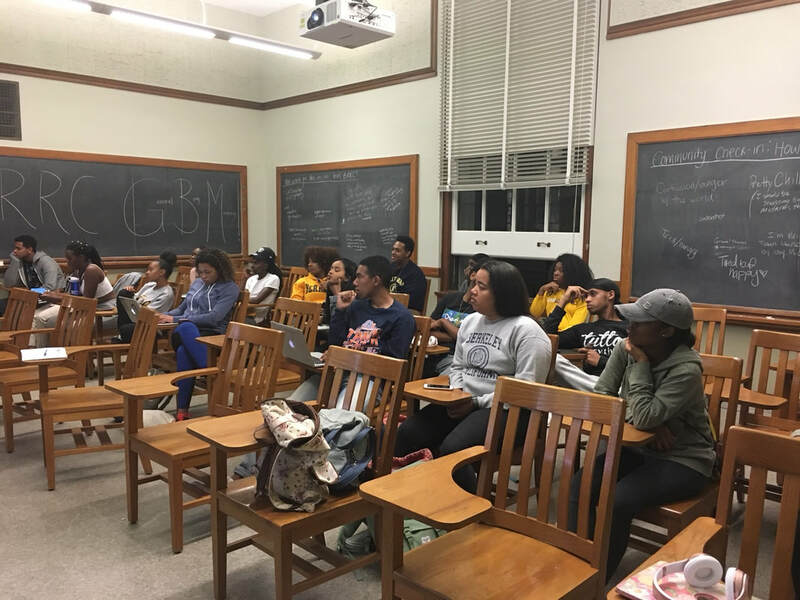 Join BRRC every first Thursday of the month for our general body meetings (GBMs). 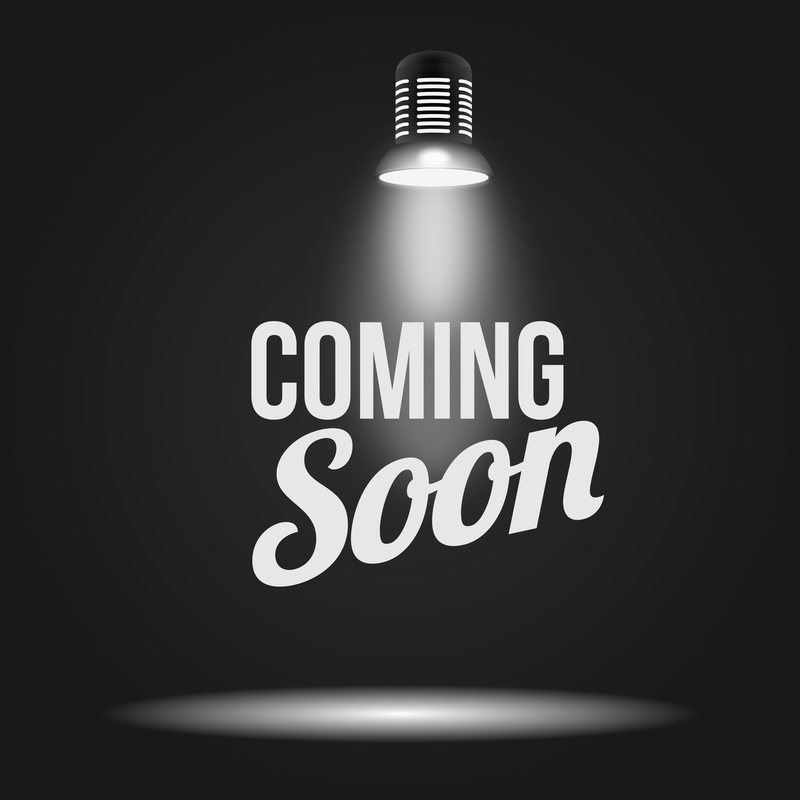 GBMs are a time for interns and volunteers to gain more information about upcoming events as well as give their input and suggestions. Come through to learn how to get involved! Food will be provided. From the Bay to LA! 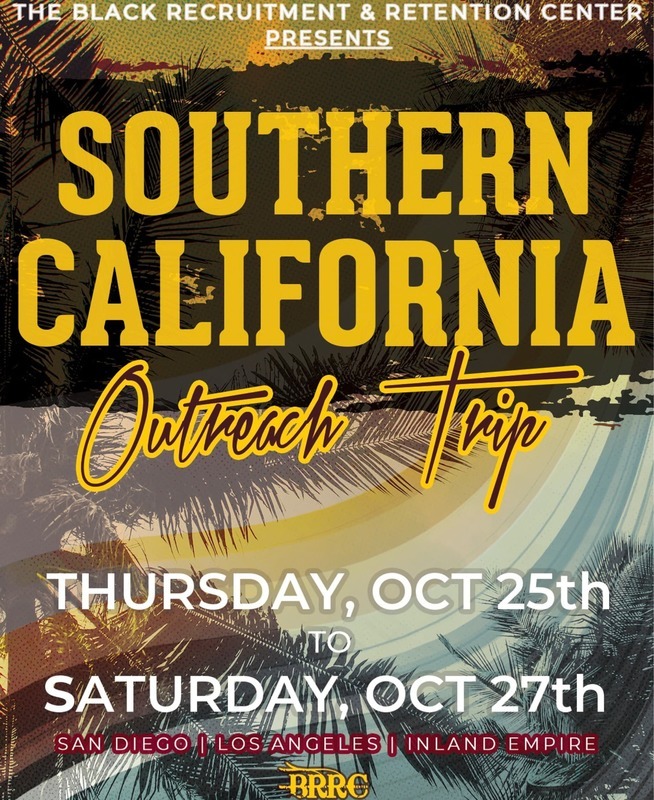 The Southern California Recruitment Trip (SoCal Trip) is an annual 4 day outreach program during which BRRC members give college presentations to high school and community college students. Presentations include information on the college application process, social and academic life, and financial aid. We outreach to all black students- even those not on the "college track". This event culminates in an all day Saturday workshop titled, "The College Connection"
The Bay Area College Tour is an annual program designed to bridge the gap between black low income sophomores and juniors and Northern California colleges and universities. Students will visit UC Berkeley, Stanford University, San Jose State University, Menlo College, and more and will have the opportunity to gain an inside look at the college admissions process, college preparation, and social and academic life. The tour is completely free; food, transportation, and accommodations will be provided. The Harvest is the kick-off event for the Bay Area College Tour. This event is not only for our visiting high school students, but for Black community members as well. This event includes food, student performances, and an opportunity for the high school students to mingle with the black community. Come through for a night of food, fun, and good vibes! Interested in showcasing your talents? Do you want to volunteer for the Harvest? If you are interested in volunteering at the Harvest, sign up at the following link.